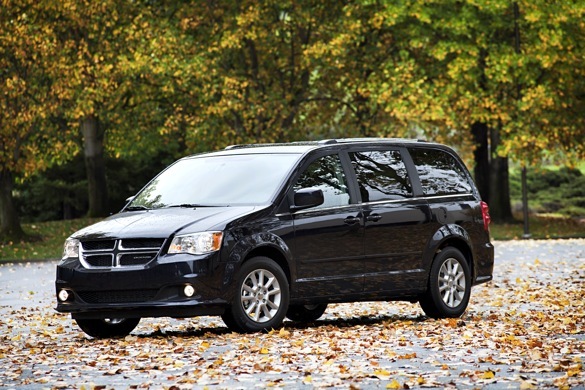 Quick: what’s the difference between a Dodge Grand Caravan and a Chrysler Town & Country? How about the difference between a Dodge Avenger and a Chrysler 200? If you answered “price, mostly,” you’d be correct, although the 200 does offer a ragtop while the Avenger does not. The list of duplicate models in the Chrysler portfolio goes on, and offering so many variations on a common theme makes life confusing for both customers and car dealers alike. That’s why Chrysler Group CEO Sergio Marchionne has a better plan: first, he wants to consolidate dealerships so that nearly all offer the four key brands of Chrysler, Dodge, Jeep and Ram. Next, he’ll look to cut duplication throughout the product line, starting with the Dodge Grand Caravan. It’s going away in 2013, leaving the Chrysler Town & Country as the company’s only full-size minivan offering. The Dodge Avenger goes away in 2013, too. It’s sibling, the Chrysler 200, gets a replacement sedan in 2013, but the Avenger will be replaced by a mid-sized crossover, which Marchionne believes will also plug the gap created by the death of the Dodge Grand Caravan. There’s another crossover in the cards for Dodge, too, and this one will be a bit smaller than the one used to replace the Avenger / Grand Caravan. Destined to replace the current Dodge Journey, this model isn’t scheduled to debut until sometime after 2014, meaning that the product plan for this vehicle is hardly set in stone. Dodge will finally get a competitive compact model in 2012, and the Dodge Hornet is expected to make its debut at the 2012 Detroit Auto Show. As Sergio Marchionne told Automotive News (subscription required), the compact Dodge will also be offered as a “sort of hatchback,” meant to replace the outgoing Dodge Caliber. That leaves the subcompact segment, in which Chrysler will offer only the Fiat 500. Plans for a Fiat-built subcompact offering to compete with the Chevy Sonic and Ford Fiesta have been scrapped, since Marchionne doesn’t see the volumes or prices necessary to be profitable in the United States.